Slow Cooked Beef Cheeks are delicious. It is the softest meat you will ever try. By gently pressing your knife through the meat, it glides through like cutting butter. 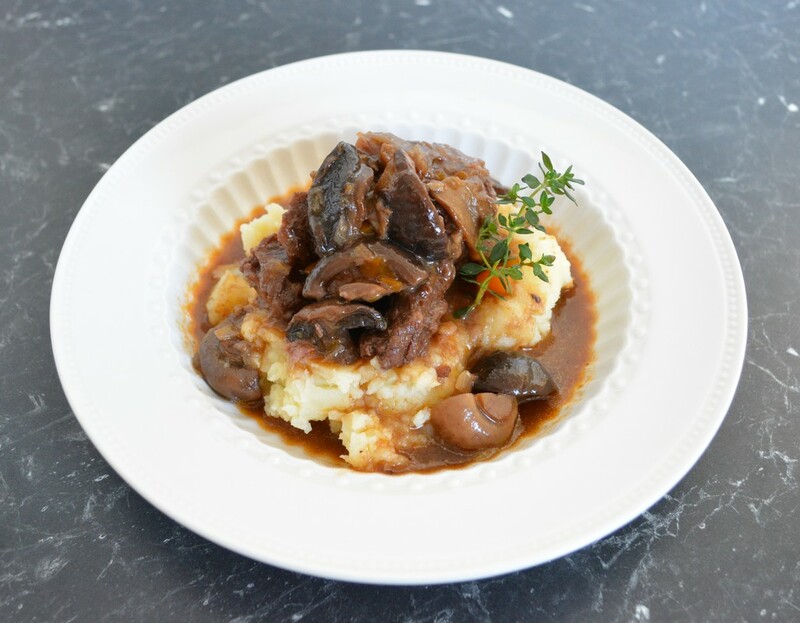 The sauce is rich and needs to be served over a bed of mashed potato. This is great comfort food, perfect on a cold winters day. 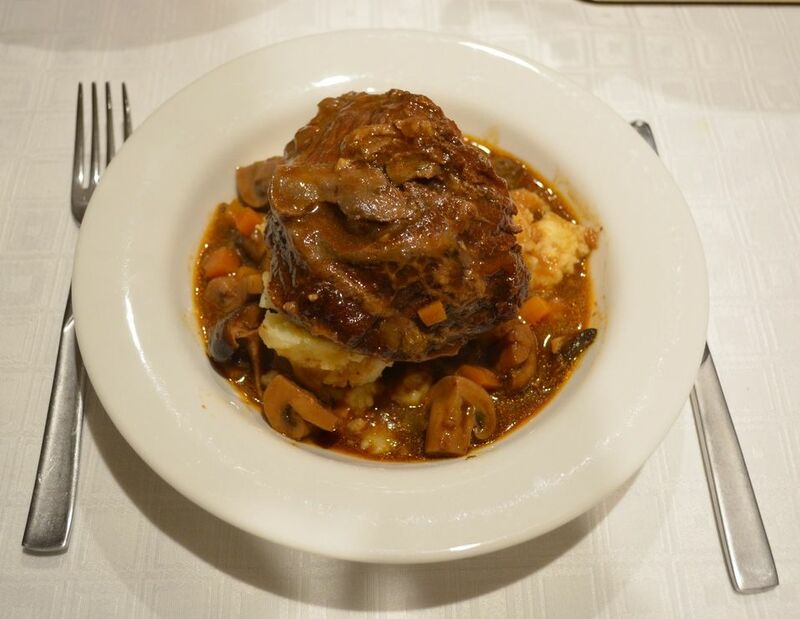 Below is the whole beef cheek placed on a bed of mash with the sauce around it. For the kids I tend to chop up the meat in large chunks once it is cooked as pictured above, serving the beef cheeks whole looks great, as long as they aren't too big. Same goes with the mushrooms, you can leave some mushrooms whole for adults, but I find my kids will eat them better if they aren't too big. Give this a go, it is really nice. Toss beef cheeks in flour, remove excess flour. Heat a large saucepan over medium-high heat. Add the oil, then the beef cheeks in batches and seal the cheeks on both sides, set aside until needed. Add a tablespoon more of oil to the saucepan, if needed, then add the onion, carrot, celery and garlic. Sauté for 5-6 minutes or until the onions have softened and are starting to turn a light golden. Add the tomato paste, stir it through for 30 seconds. Add the Shiraz, beef stock, sugar, chillies and vegeta. Stir it around. Add the reconstituted dried mushrooms and 2-3 tablespoons of the soaking liquid, thyme and bay leaves. Season with salt and pepper. Add all the mushrooms and return the beef cheeks to the saucepan. You may need to add a little extra water so the beef cheeks get covered by the liquid. Bring to the boil, reduce the heat to low and simmer, covered, for 3-3.5 hours or until the meat it so soft it slices like butter (I cook it for 3 hours). Taste after 2 hours for seasoning. And if the sauce looks too watery and needs thickening, simply remove the lid and cook uncovered for the last hour. Serve hot with mashed potato or parmesan polenta and steamed greens.